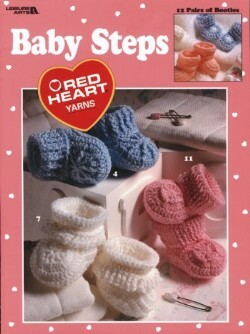 Featuring Red Heart Yarn, these colorful baby booties are a must for all babies. Choose from twelve different designs for the precious little addition in your family. Size: Newborn - 3 months. Booklet - 16 pages by Leisure Arts.